Every situation is different, and there are limitless options to choose from when renovating your home. 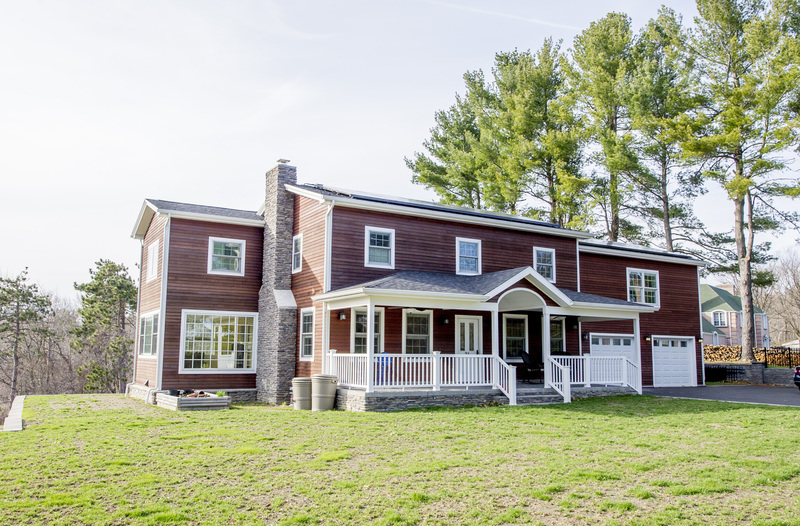 For a complete understanding of what goes into this complex job, we encourage you to visit our main page for Home Renovation Contracting Page. So rather than listing all the intricate details here, we are just going to show you some beautiful pictures with a brief explanation of the work. The above picture includes so many services. We began with a Home Addition including a new 2 Car Garage. We specialize in new decks and patios and used our skills for this new front porch with a stamped concrete patio. And our siding services made this cedar siding look perfect, while complemented with a stone facade on the fireplace, in addition to the window replacements and doors. 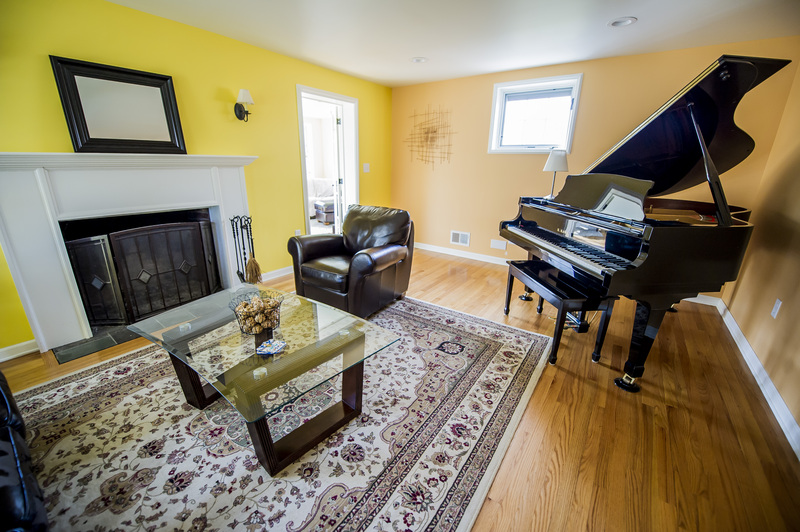 So what do you think this beautiful house looked like before Razzano Homes came to do their renovation? Well, we don’t want to spoil all these beautiful pictures, so just read towards the bottom to get an idea of the Before-After. It will be hard to believe once you compare. In the following picture you get to see our Kitchen Remodeling built off the back of the house. 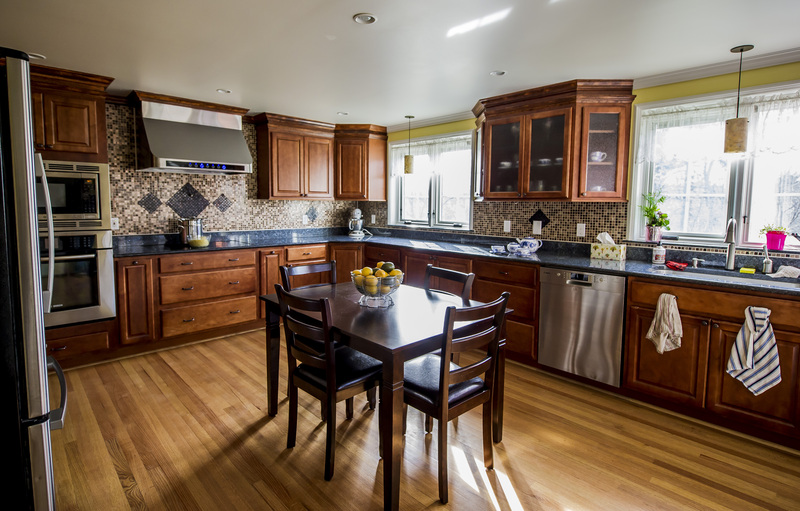 So many wonderful features including a glass mosaic backsplash with diamond pattern inlays. Notice the stainless steel hood above glass flat top stove. Cooking is fun on the ceramic glass top stove with built in oven and microwave. We installed granite counter tops. The oak hardwood floors are a perfect match. Some modern features include the Delta Touch H20 faucet. Look carefully at the Pella Designer Series Encasement Windows. The ceiling is topped off with recessed and pendant lighting. 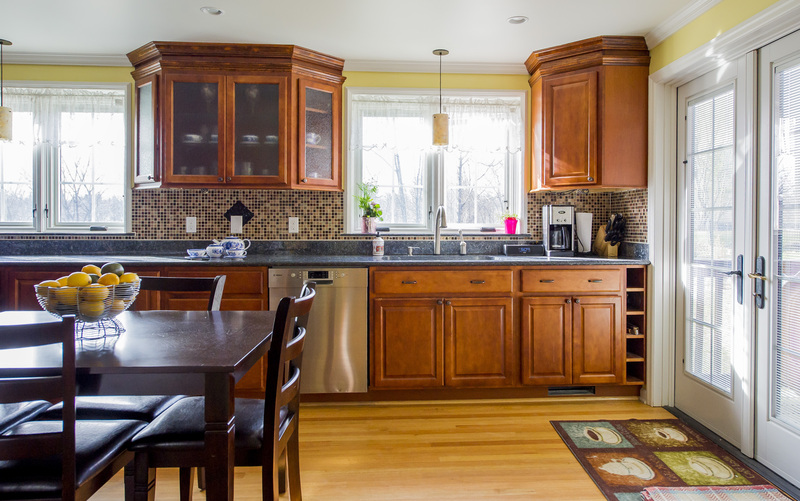 There are also floor to ceiling cabinets with roll out trays and glass panel doors and crown molding details. Then as you move to the right you first see the built in wine rack. And we also have other products from Pella, including Designer French Doors leading to a deck. 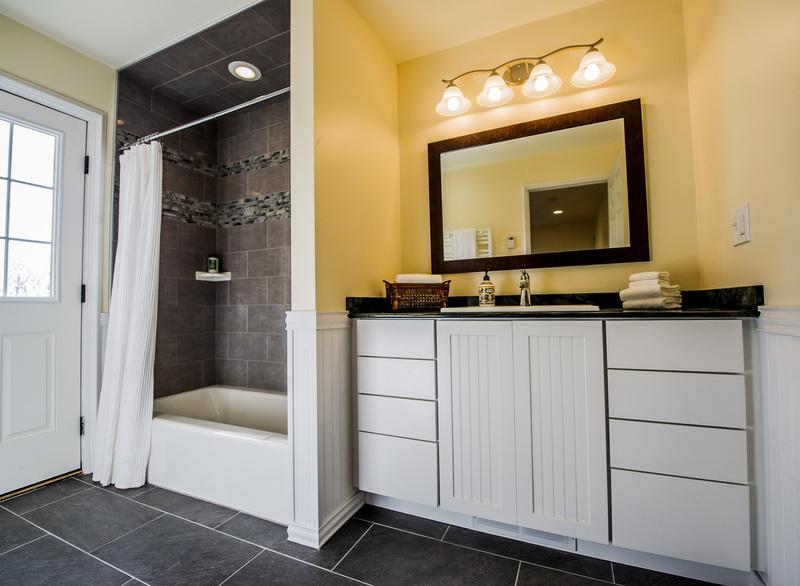 In the following picture you get to see our Bathroom Remodeling services. 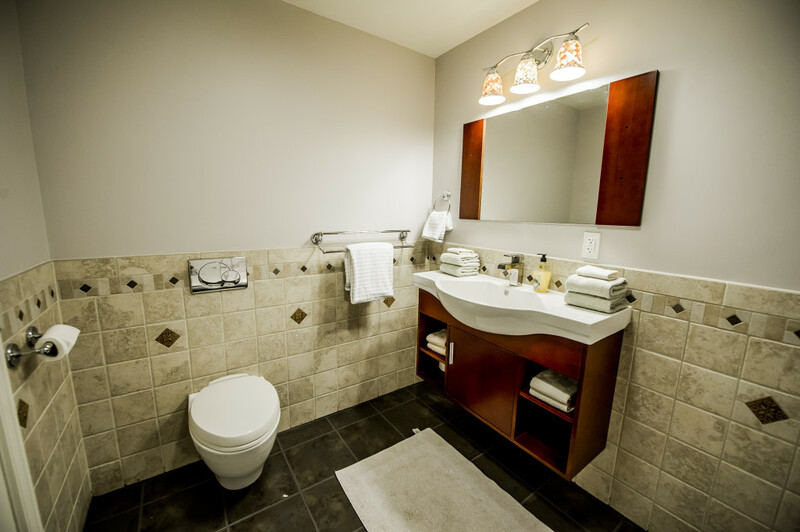 It is a guest bathroom with radiant heat flooring, ceramic tile floor and ceramic tile walls. We included an energy saving Toto flush mount toilet with a tank in the wall. As you scan right you see a European style floating style sink and vanity cabinet. And then as you scan right you see the full shower enclosure with glass siding doors and bench seating. 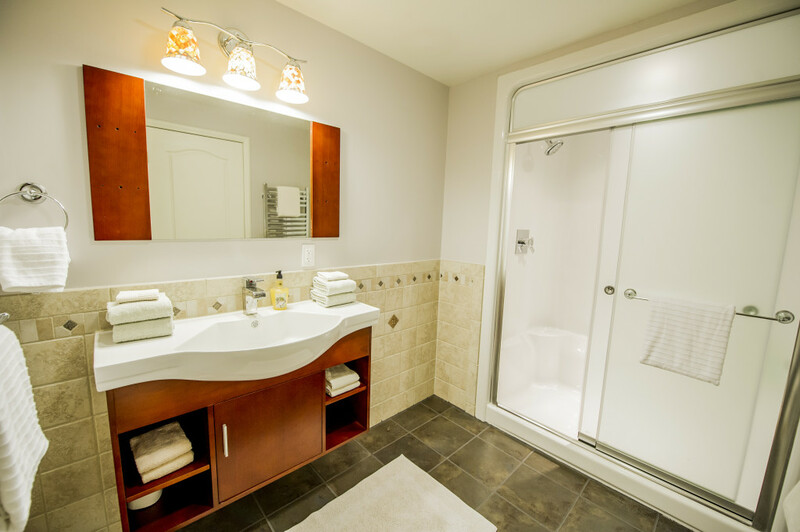 Look closely and in the mirror you can see the touch of luxury with a heated towel rack. But one bathroom is not all, since we did a 2nd bathroom as shown below. There is a shower and tub enclosure featuring a cast iron tub, ceramic tile on walls and ceiling with glass mosaic inlays and soap dishes. Look at the nice granite counter top with built in vanity cabinet and heated tile bar in the mirror top. Radiant heating flooring keeps you nice in warm in the winter. Now that we finished the Kitchen Remodeling and Bathroom Remodeling, it was on to the Living Room Remodeling. We refinished the hardwood floors, added recessed lights and a custom fireplace mantel, along with astragal molding around the windows and put in interior glass French doors. Working with a remodeling company should expose you to all the flamboyancy possible with your designs. 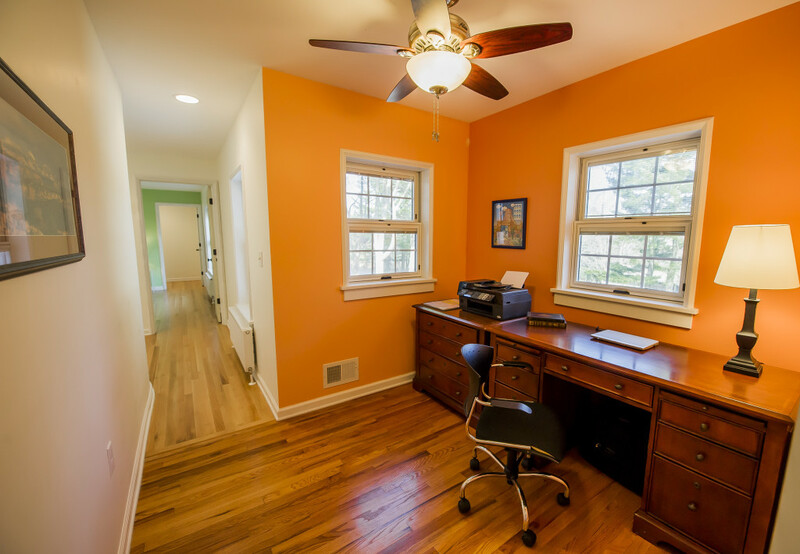 Check out this nice office nook we created. 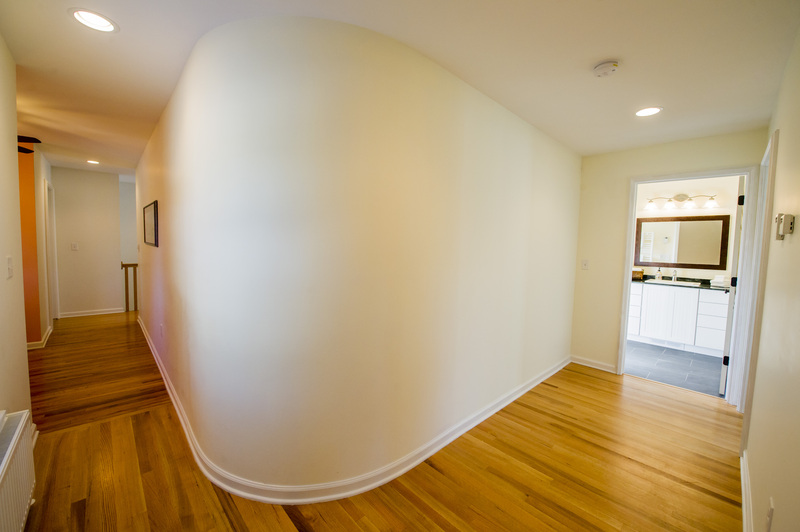 And also look at the modern Radius Wall, which was a special standout look. 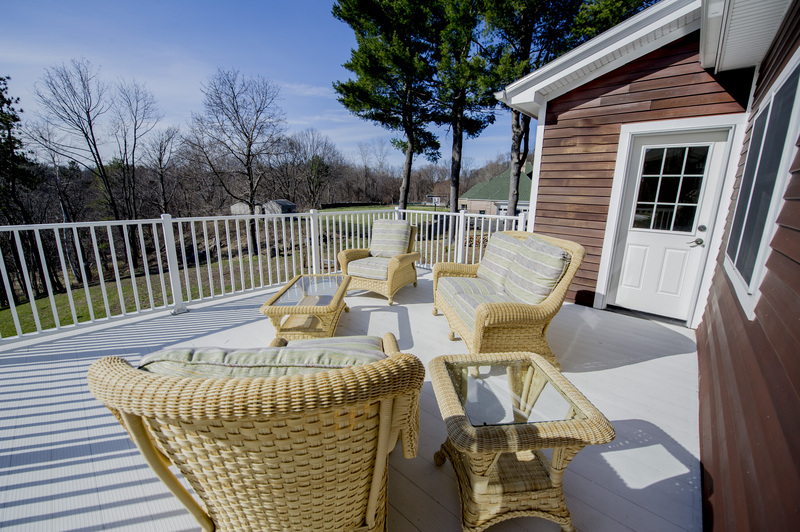 And now we step outside in the back and relax on a Lockdry Waterproof Aluminum Deck. It serves two purposes – as a one step roof and deck system. And it is surrounded with an aluminum maintenance-free handrail. 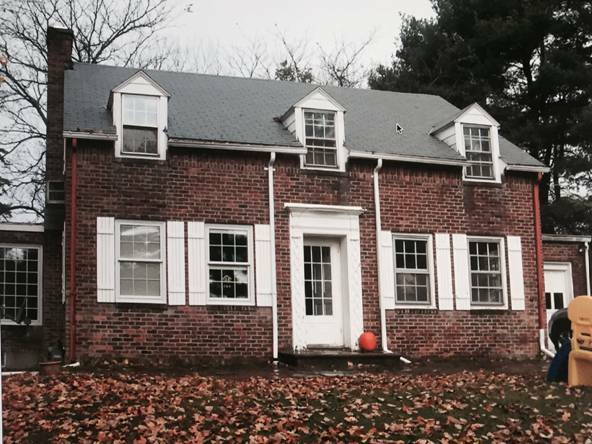 Oh, and if you’re still wondering what the house looked like before our whole home renovation project, here is the before picture. Can you believe it? And while this is all part of a complete home renovation, we still have so much more for you to see and get ideas with. 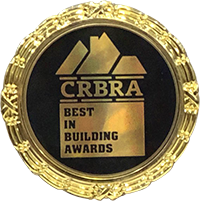 So check out many more pictures in our Kitchen Remodeling Portfolio, Bathroom Remodeling Portfolio, Decks & Patio Portfolio, and so much more from our Renovations Portfolio with all our listed categories. Need more? 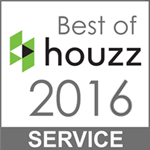 Then please read some of our remodeling contractor reviews. 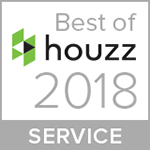 Over the past decade, Dan Razzano and his team of professional remodeling contractors have helped so many homeowners throughout Brunswick and the surrounding areas transform their homes. 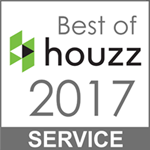 We truly enjoy the unique aspects of each project and the different preferences that our clients value. From any individual service to full renovations, our design and remodeling teams will create a home you will be proud of for years to come. 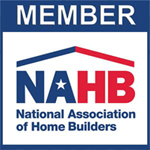 We invite you to contact Razzano Homes & Remodelers with any questions you may have about updating or transforming your home, and we look forward to potentially working with you.